Why is Eastleigh Borough Council planning to build nearly 2,000 more houses than it needs? ADD UPDATE, 11 December 2017: This evening, 11 December, Eastleigh Borough Council will be asked to vote on its Local Plan to 2036. 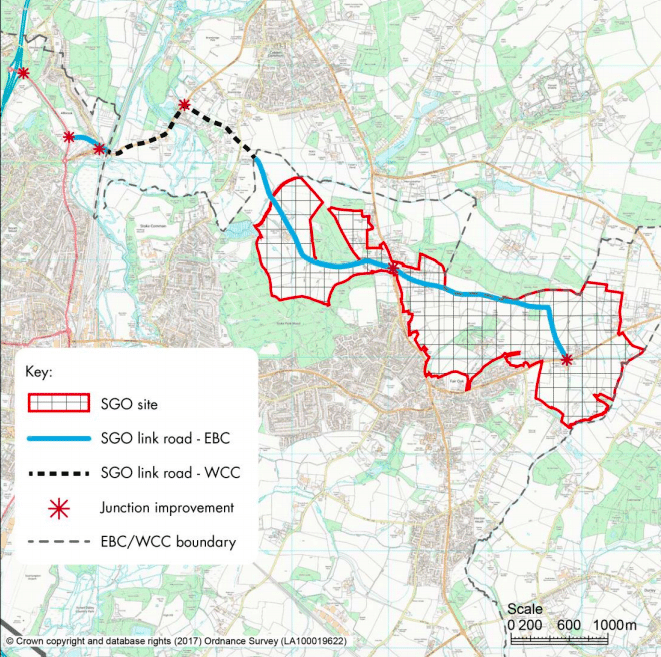 As our supporters know, the council’s leader, Keith House, is pressing councillors to vote in favour of a Plan that includes 5,200 new houses and an expensive new link road north of Bishopstoke and Fair Oak (its options B and C). 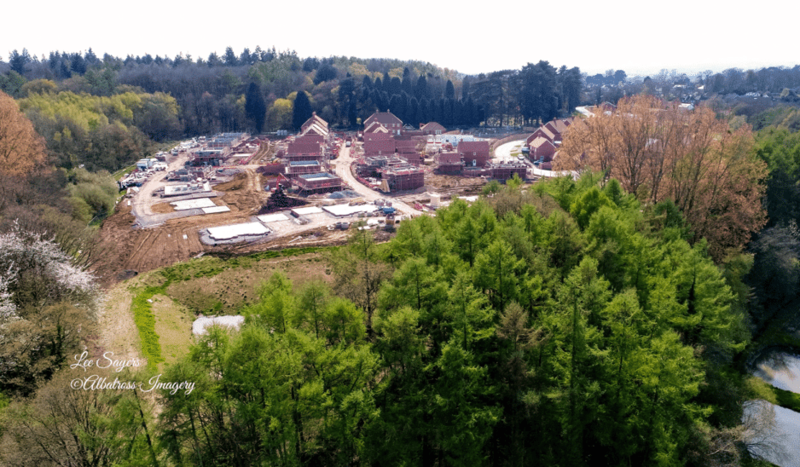 The council has two clear alternatives to deliver a major new housing development – what it calls a Strategic Growth Option (SGO). The plan north of Bishopstoke and Fair Oak has always been House’s favourite, though there is little evidence to support his case. Over the last few years, many myths about Eastleigh’s Local Plan have been planted and allowed to take hold. One of these is that the council’s SGO needs to deliver over 5,000 houses. This was the case but because of recent planning approvals is no longer so. Whilst ADD has been aware of this for a couple of months, buried in the papers for this meeting, the council now concedes the point too. Are all councillors aware of this? The meeting papers state that within the Plan period, which is to 2036, Eastleigh actually needs to find the means to deliver a further 3,350 houses. Not 5,200 – but 3,350. Indeed, the papers make clear that the 5,200 number is merely an aspirational one to 2046! It’s therefore irrelevant. Why, therefore, is the council fixated on finding land for 5,200 houses? The reason, of course, is that Cllr House knows that without this number of houses the developer would be unable to meet the cost of the proposed road in options B and C. He needs this excessive number of houses to support his case. The Plan that councillors are being asked to vote on this evening also includes space for 30,000 square metres of employment-related development to accompany the new houses. But this, too, is development that Eastleigh does not need. The borough already has the potential to deliver much more than this at better locations, at the former railway works and Eastleigh Riverside. We don’t need 30,000 square metres of employment space, and certainly not on green fields to the north of the borough. Nobody doubts that new development is needed, but Cllr House seems intent on building more than required and locating houses in an area where there is the least likelihood of the developer building the kind of housing the borough most needs – i.e., affordable and social housing. Moreover, other councils seem to be catching on to this idea of spare capacity. We have it on good authority that a letter has been sent to Eastleigh by New Forest Borough Council asking Eastleigh to build extra houses to make up for the New Forest’s shortfall! Does Eastleigh really want to build more houses to accommodate the needs of others – beyond, of course, what it is already doing? Don’t forget Eastleigh is already helping Southampton. Whilst Cllr House may see this as an opportunity to rake in more council tax revenues, is it really in the best interests of Eastleigh residents? Several councillors say that options B and C is the only SGO that can deliver the required development. This is simply NOT true – not at 5,200 houses, and certainly not at 3,350 houses! Even with Cllr House’s recent, and rather convenient, stipulation that there must be a 1 kilometre gap between settlements within the alternative SGO, options D and E, Eastleigh has two very clear alternatives which could deliver the balance of housing it requires to 2036. Should the council ignore this fact, and choose Cllr House’s preferred plan without properly comparing both options B/C and D/E, we have legal opinion to suggest that there is a strong possibility it would ultimately fail the planning inspector’s test. Now that is not a myth. If you – like thousands of others – want an evidence-based Local Plan for Eastleigh, PLEASE, PLEASE TURN UP TO TONIGHT’S COUNCIL MEETING. BRING YOUR FAMILY AND FRIENDS TOO: 7PM, TONIGHT, MONDAY 11 DECEMBER, AT THE HILTON AT THE AGEAS BOWL (SO30 3XH). There is masses of parking, so don’t let that put you off. If you need a lift, just contact us! Your ticket for the: Why is Eastleigh Borough Council planning to build nearly 2,000 more houses than it needs?